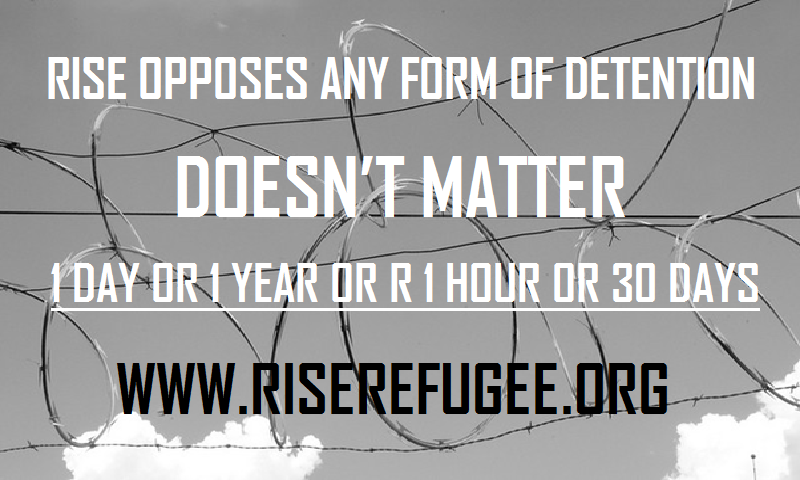 We refugees and asylum seekers need protection NOT detention. We, Ex-detainees at RISE in Australia, mark the 3rd of September as Ex-Detainees’ Day for all Asylum Seekers and Refugees who have been forcefully detained whilst seeking protection. 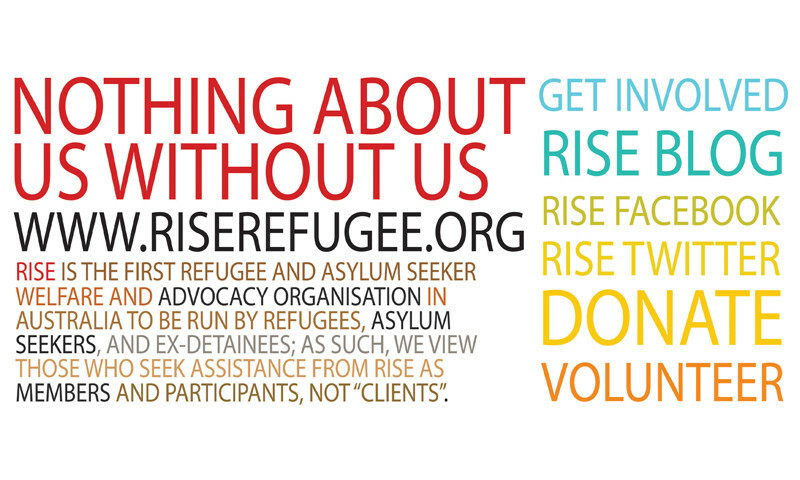 There are many ways for you to support the work that RISE: Refugees, Survivors and Ex-Detainees does. Whether you want to volunteer your time at the RISE Resource Centre, organise a food or clothing drive to assist newly arrived refugees and asylum seekers or would like to gather signatures for a petition, there is space for you to help us. As an ex-detainee, asylum seeker and refugee coalition organisation, RISE urges the public not to be misled by the justifications for the current cruel treatment of refugees and asylum seekers coming to Australia on boats or planes. Located in our Drop-In Centre are a computer lab, the RISE Resource Library and the RISE Food Bank, all of which are accessible to community members. 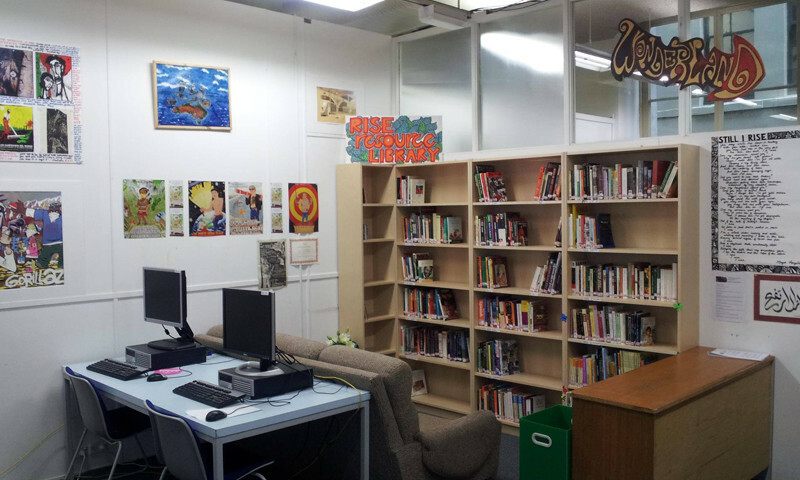 The Drop-In Centre exists to provide a safe space for community members to access a variety of RISE services. RISE acknowledges that the Aboriginal and Torres Strait Islander peoples are the original owners and custodians of the land that we live and work on.